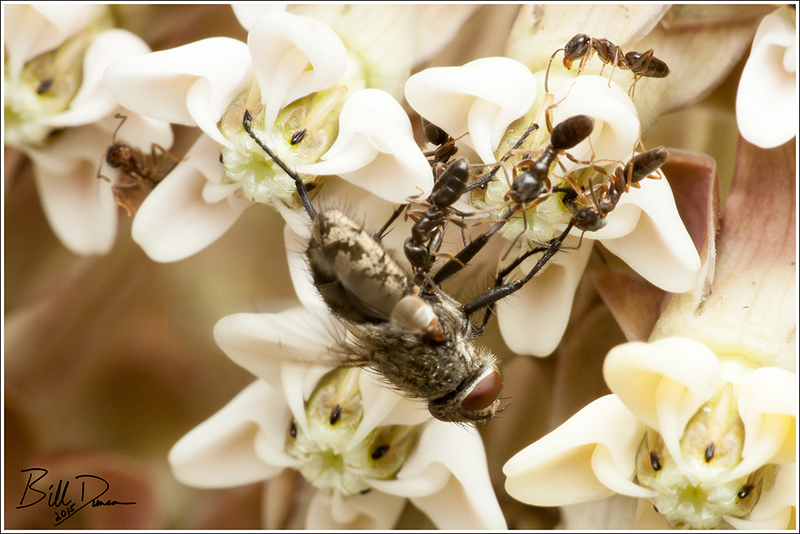 Ants and most flies that are abundant around my milkweed are nectar robbers – providing no pollination services for the plant. I do see flies from time to time that might carry a pollinia, and sometimes a lightweight like the housefly pictured above will get a leg or two stuck and be unable to free itself. That’s what these ants are waiting for. Here we see the ants beginning to dissect their prey while it struggles to free itself.